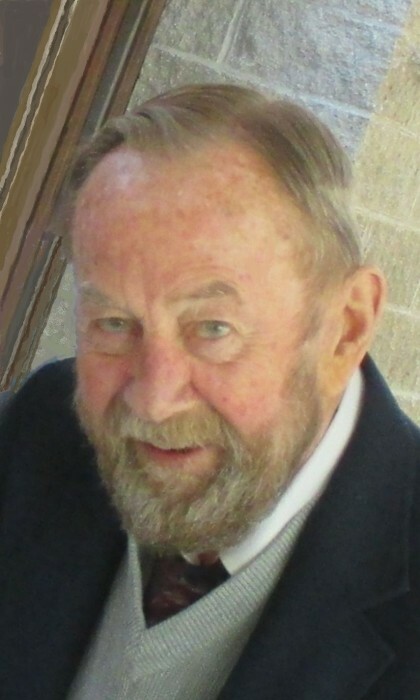 Bud (Bernard) Lauer, 83, of Sylvania, OH passed away on March 20, 2019 at his home with family at his side. He was born and raised in Winona, MN to John and Margaret (Leverson) Lauer. Bud married his wife of 59 years, Janet Young, and together they raised 7 children. Bud served in the Navy Reserves and enjoyed a long career in sales which allowed him plenty of time on the golf course (and plenty of people to share his unwavering support/disappointment of the Detroit Lions and Tigers with). He was an avid reader, a Frank Sinatra fan, and had a life-long love of golf, but we will mostly miss the twinkle in his eye, his quick wit and his fantastic sense of humor. Bud is survived by his wife, Jan; children, Mark, teri (Fritz) Adamshick, Mike (Anita), Pete (Marcy), Tim (Jessica), Kate Fehn, and Anne (Brett) Pearce; grandchildren, Eric, Grace, Andrew, Alex, Max, Lindsay, Chelsea, Mike, Tim, Chloe, Nico, Ruby, Haley, Hanna, Ben, Magnus, Bryce and Cameron; 5 great-grandchildren; and sisters Mary Mikrut and Katherine Krage.